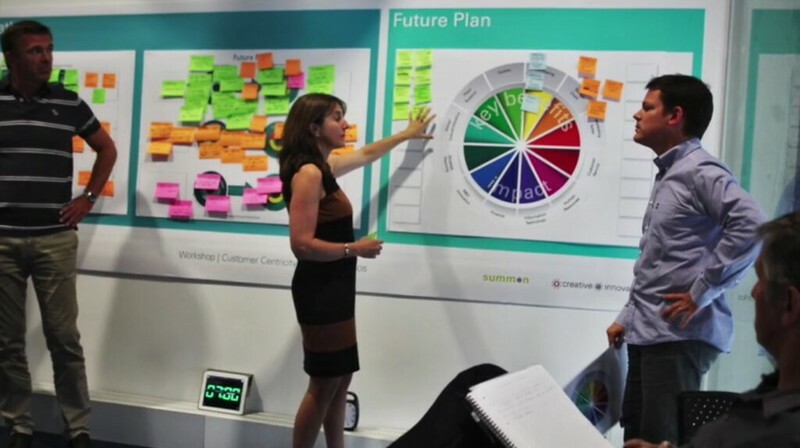 A Strategic Futures session with a global brand where we helped to explore possible future strategies of transition from a classical (rigid) manufacturing company toward a more flexible, customer-centric service organisation. To facilitate this conversation we have gathered a large number of ‘signals of the future’, examples of novel developments both in the core industry of the client but also in various neighbouring domains that have direct or indirect impact on future development of the business. Using our FuturoGlimpse process, we have analyzed these signals and also complimented them with a wide range of the cases of similar transitions implemented by different companies world-wide. The session also helped out client to prepare for a significant shift from an engineering and manufacturing company towards a customer centric business. An exploration of the possible future scenarios led to the decisions about the next tangible steps, new organizational structures, and new business models. We have conducted the session in collaboration with Creative Innovation Works, our partner in strategic design and new business modelling. Please have a look at the video that captures the key moment of the session.